Who should I captain in FPL? 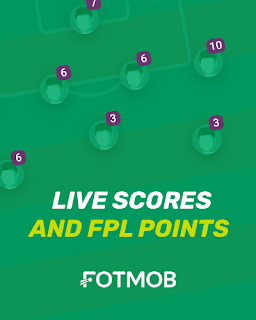 In FPL the captain that you appoint will obtain double points. Thus it is important that you pick a player that has a high probability of doing well and obtaining a good haul of points. In my opinion you should pick a captain that can ideally get you at least 16-20 points from one match. It is rare for a goalkeeper to do this as one goal conceded would mean a poor match score, where as a clean sheet won't obtain more than 12-14 points. A goalscoring defender who keeps a clean sheet and gets maximum bonus points could score you up to 30 points, but they are a rare breed. The safest choice would be an attack minded midfielder who have a decent probability of assisting or scoring regularly or a forward that scores on a regular basis. Don't stick to one captain for the whole season. Regularly change captains, depending on if their team plays home or away, plays a strong or week team and so forth. What constitutes a good GW from a bad GW? 0-20 points - shamefully abysmal. 21-39 points - a bit of a disaster. 40-49 points - not great, but tolerable. 50-59 points - average, acceptable & ideal minimum. 60-74 points - consider this a good GW score. 75-99 points - very good, your team & captain must have done well. 100+ points - a great team performance and a personal achievement on your part. *Please note, this chart may not be true in rare GWs where the average score was very high and your GW score did not meet the average GW score but was deemed "good" by this chart, i.e. scoring 60 points in a GW when the average score was 70 points. Should I regularly undertake team transfers? Yes and No. There is no point in having players with long term suspensions or injuries in your team, especially if they are valued at a high FPL price. You may be inclined to transfer a player with poor form. But you may regret it, if they bounce back and do after you have sold them off. It may be useful to purchase a player from a strong team that is due to play a string of weaker opposition teams. But do bare in mind that you only get one free transfer per gameweek. If you exceed this, you will be losing gameweek points which will affect your classic league positioning. Try avoid doing too many transfers per gameweek, as you will lose out on points. As a rule of thumb, "if it ain't broke don't fix it" - don't sell players unless you have to, i.e. bad loss of form, long-term injuries or suspensions. At the very most don't exceed two transfers per gameweek, i.e. your one free transfer, plus one extra which will cost you -4 points. The answer is we don't know for sure when. However, for more insight read this article here. How do I find out about last minute injuries and suspensions? Is FPL driven by luck, simple probability or natural skill? In my estimation it is primarily skills-based probability, i.e. Come the end of the season, the best and most dedicated managers will end up highest in their respective leagues. Sure, an element of luck is also in play as you don't know how a player will perform on the day, and a novice FPL gamer that never changes his/her team may do well in one or two gameweeks. But FPL is not about one or two gameweeks, it's about thirty eight, stretching from August to May! Probability dictates that over the course of a season the best players from the best teams (or any team) will generally attain more points. Thus, those that endure till the end and are most skilled (with the best hunches) will always do better. What is a wildcard? When should I use my wildcard? 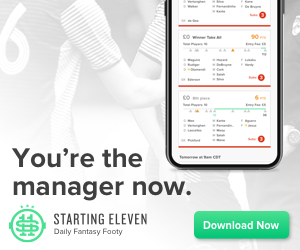 A wildcard allows you to change your entire selected team for any gameweek without having any points deducted from your overall, classic and head-to-head league tallies. You have two wild cards available at your disposal - one for the first half of the season and the other for the second half. My advice would be to use your wildcards after gauging form and when you definitely need to replace at least 33% of your squad, i.e. perennial bad injuries, long-term suspensions or poor form for a significant number of your team's players. What is a Double Gameweek (DGW)? DGW's may occur once in a while, such as due to the postponement of fixtures. The good news is that advance notice will be provided for this and you can potentially double up points provided you have picked the relevant DGW players. The flip side is that the team may not play any fixtures the week after, thus sensible selections are required. What is a differential in FPL? When are suspensions automatically imposed without a red card in the Premier League? If the 5th yellow card is received after 31st December. If the 10th yellow card is received after the 2nd Sunday in April. If the 15th yellow card isn't received before the end of season. What are Chips in FPL?